Our wedding albums represents the pinnacle of quality and design in modern wedding albums. A selection of your favourite photographs will be worked into a album size of your choice. The album is proofed online and any changes you require will be made free of charge. This guarantees you get what you want, where every detail is perfect. Our wedding albums come with a huge range of cover options including leather, steel, perspex and silk. Have your names embossed onto the cover of a leather album for the ultimate quality feel with a traditional slant. The Wedding Book. Love at first sight. The art and passion of the photographers, the sensibility, expectations and dreams of the couples, the emotions and amazement of their loved ones… all these feelings take form in a book that you will love at first sight. Graphistudio shapes your dreams thanks to a world-class quality and a style that expresses all the charm of the Made in Italy. The extraordinary result of a 20 years journey of discovery is called Wedding Book. An exceptional product that enhances the photographic reportage by combining printing art with the prestigious editorial layout of the most celebrated weddings. The choice of formats, papers, covers, coordinated accessories and prices is amazingly wide: the perfect option to produce your own, unique, book and to perfectly satisfy all your needs. Unlimited options, finishing and combinations to offer you the best of the Made in Italy quality. 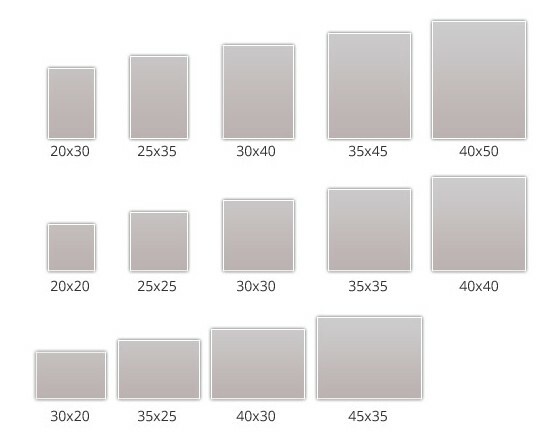 Our book sizes range from the majestic 40x50 cm to the new 35x45 cm, the classic 30x40 cm to the compact 25x35 cm and 20x30 cm. The corresponding landscape and square versions are also available. You can choose the photographic or the metallic paper with digital laser printing, or as an alternative, the textured, smooth or pearl paper with digital offset printing. All options are available with glossy or matte lamination with the exception of the metallic paper which is already laminated by default. The covers. The story of a fairy-tale starts here. Creating the cover is one of the most exciting moments in the book design process. Graphistudio has always offered an immense richness of materials and customizations. In order to guarantee uniqueness and exclusivity, our covers are all handmade in single copy, on the basis of the aesthetically sensibility and choices made by each client. The combination of the material, colour and front panel layout is essential: the leathers, the Nappas, the metals or the silks, to name but a few, selected in the preferred tones, embrace die-cuts, images, inserts, embossing and seams. The spine and back, which enrich the front cover, can be chosen to match the main chromatic tones or to elegantly contrast them with colours and textures.Visit the relevant “Design” section to get inspired and start dreaming. To enhance and preserve the high fidelity of the book prints, Graphistudio has invented and patented a revolutionary binding system, whose superior quality is literally self evident. The perfectly lay-flat opening allows a panoramic and detailed view of the whole spread, including the parts positioned over the seam. The result is a nearly cinematographic, captivating experience. The accurate preparation and attention to the details is what distinguish a quality product. Among these details, one of the most important is the lining: its colour guarantees a harmonic combination between the outside and inside of the book, and its texture creates a balanced link between the precious cover material and the finishing of the pages. Apart from these aesthetical reasons, the linings play a basic role in the mechanical connection between the cover and the block. For this reason only the best cloths are used to fulfill this essential function. The colour palette is extremely wide, as is the refined choice of the spun cloths available. All our wedding albums are designed by use and manufactured in Italy by Graphistudio from the finest quality materials.